We are delighted to announce the release of the our very first holiday picture book for children called C is for Christmas* by award-winning and bestselling author Michelle Medlock Adams! A is for Angels, B is for Birthday, C is for Christmas! Celebrate the reason for the season from A to Z! 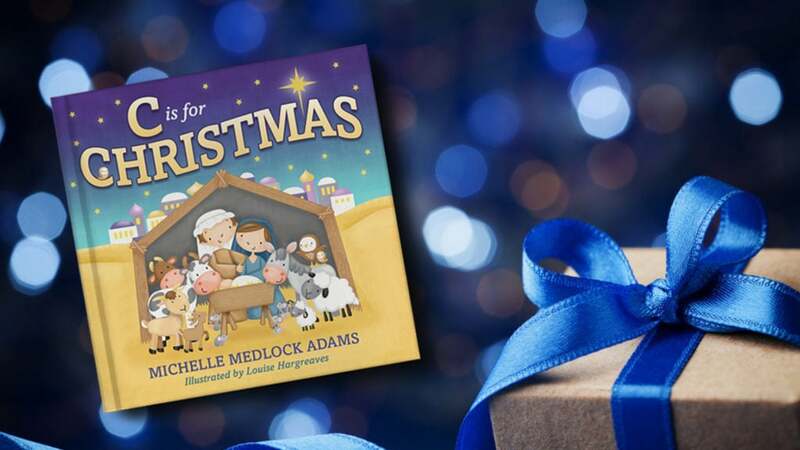 Award-winning and bestselling author Michelle Medlock Adams ties the story of the very first Christmas to the traditions we celebrate today. The gang’s all here—Mary and Joseph, the three kings, the shepherds, and the big man in red—but the focus is clearly on Jesus. Whether highlighting “G” for Goodwill, “H” for Hay, or “L” for Lights, cheery illustrations by Louise Hargreaves help readers of all ages appreciate the true meaning of Christmas, in its many-faceted glory, on every page and witnesses to the great love that came into the world on the night a precious baby was born. C is for Christmas is now available in hardcover and paperback through the Little Lamb Books online shop as well as online with IPG, Amazon, Barnes & Noble, Walmart, and wherever Christian books are sold. If they are out of stock or unavailable, be sure to ask your book seller to order it for you ASAP! Also, if you are in the Nashville area on any weekend in December, come say hi to Michelle as she reads holiday stories and autographs C is for Christmas for guests at the fully decorated Gaylord Opryland Resort and Convention Center!